Roots that are sweet and a pleasure to eat. The sweet potato is such a beloved root vegetable that two calendar months out of the year are devoted to showcasing its wonders in the US. November is national sweet potato awareness month and February is national sweet potato month. Not to be confused with Yams, sweet potatoes have tapered ends and are significantly smaller. Yams can weigh between a 0.5 – 100 lbs./0.25 – 45 kg. They originated in Africa and are now native to Asia and the Caribbean, whereas sweet potatoes are native to the Americas. 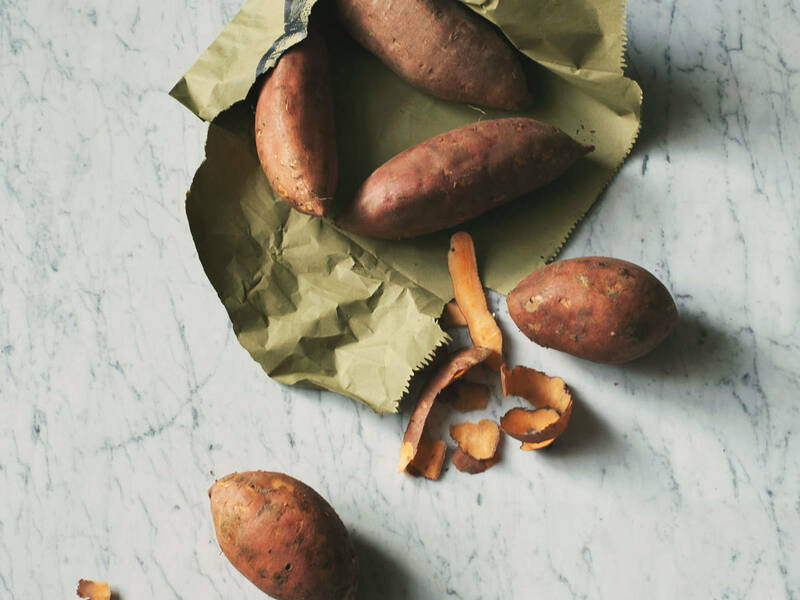 If you’re still not convinced of the greatness of the sweet potato, take into consideration the fact that it doubles as a house plant. Simply submerge the bottom half of a sweet potato in water, place it near a sunny window, and within a few weeks you’ll see sprouts that will eventually turn into a plant!